It was the evening of Herb Ellis' first Guitar Night at Papashon. 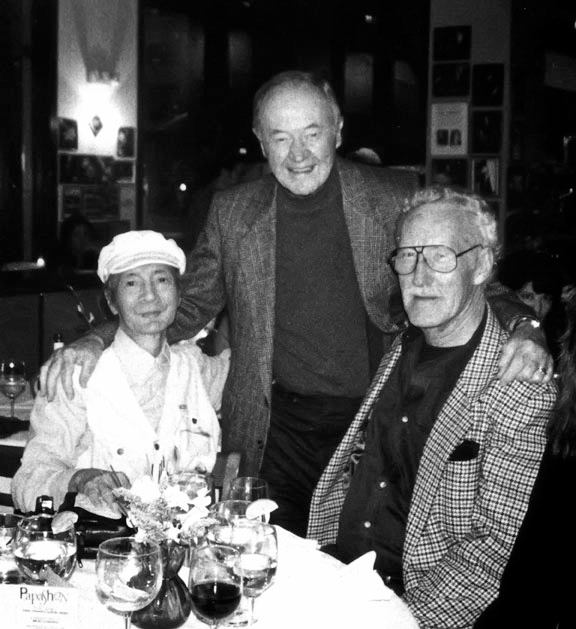 I showed up with my little Minolta to find that three of the world's greatest Jazz Photographers were sitting ringside. I tried hiding my camera but they saw me, and introduced themselves to me. My education to the ways of jazz photography began that evening. I maintained frienships with all three till their passing. Ray Avery became a close friend , and mentor, for which I will be eternally grateful. BOB"S " POTPOURRI OF COLOR "